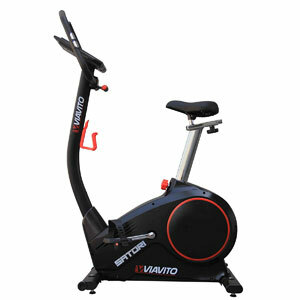 Does The Viavito Satori Exercise Bike Offer A Good Workout To All Users? The Viavito Satori Exercise Bike looks like a fairly typical stationary bike, with an elegant look to the black frame, a few colour accents for style, a large casing for the 9kg flywheel and a decent sized console between the handlebars. These handlebars have pulse rate sensors for data on heart rate, and all that information is displayed on the colour LCD display. It all looks good, but how does it perform? 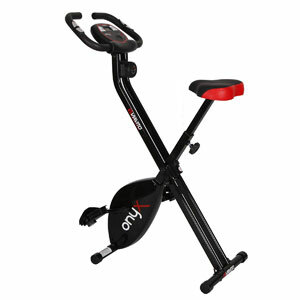 Is There More To The Viavito Onyx Folding Exercise Bike Than We First Assume? The specification for the Viavito Onyx Folding Exercise Bike shows that this is about as basic as you can get for an exercise bike. There are no special features and electronics to provide something a little different – as there is just the manual control for the resistance and the battery operated console. The frame, pedals and seat are simple and accessible and this looks like the sort of bike that absolutely anyone can set up and use in the home. This means that there is an appeal to the beginner user in need of a starter model, but does it perform to everyone’s expectations.